Doctors Stumped By Rare Eye Cancer Cases In North Carolina, Alabama Ocular melanoma typically affects 6 out of every 1 million people, but doctors have found dozens of cases where the patients have connections to either Huntersville, N.C., or Auburn, Ala.
A group of people with connections to two cities in North Carolina and Alabama have been diagnosed with a rare eye cancer called ocular melanoma. Medical experts are trying to determine the cause of the cases. 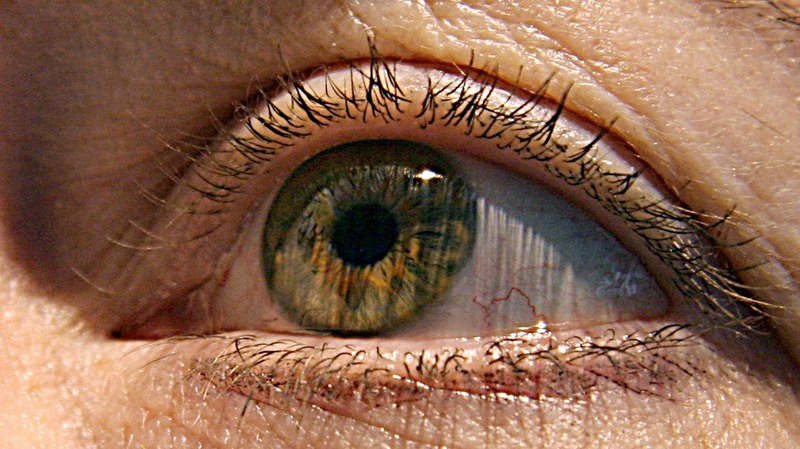 A rare form of eye cancer has struck a group of people in two locations in North Carolina and Alabama, confounding medical experts who are trying to determine whether the cases are linked. Ocular melanoma typically affects 6 out of every 1 million people, but doctors have found dozens of cases where those affected have ties to either Huntersville, N.C., or Auburn, Ala. Many of those diagnosed attended Auburn University between 1983 and 2001 — at least three of them were friends. At least 38 people who went to Auburn have reported being diagnosed with the disease, according to a Facebook page created by the patients. In Huntersville, at least 18 patients were identified in a formal investigation. The Alabama Department of Health has declined to call the cases a cancer cluster yet, but researchers are investigating to determine whether there is a common cause for the diagnoses. A cluster is a higher-than-average number of cases identified in one particular geographic area over a limited period of time. Unlike skin melanoma — which has been diagnosed more than 90,000 times this year — doctors typically see only 2,500 cases of ocular melanoma annually, says Dr. Marlana Orloff, an oncologist at the Sidney Kimmel Cancer Center at Thomas Jefferson University in Philadelphia, who is studying the cases. She says it is unlikely this group of patients got the cancer from sun or other UV light exposure. "If it were something as simple as the sun or as simple as tanning bed use, we wouldn't necessarily, I think, be seeing it in such restricted geographic locations," Orloff tells Here & Now's Robin Young. Juleigh Green was the first person among at least 36 former Auburn students to be diagnosed with the disease in 1999. Two friends, Allison Allred and Ashley McCrary, were also treated for the cancer, and Green and Allred had to undergo eye removal surgery. The women told NBC's Today show they were diagnosed just a few years after graduating from college. "When I was diagnosed, I kept wanting to talk to someone who had been through this before and had done well," Green told CNN. "But it seemed like nobody had heard of this or had any connection with anyone who had this, and that's when I realized how incredibly rare it was." According to the Ocular Melanoma Foundation, the cancer develops from cells that produce the dark-colored pigment melanin. These cells are found in the skin, hair, eyes and lining of some internal organs. The symptoms of ocular melanoma include dark spots on the eyes, flashes or blurry vision, Orloff says. Sometimes people have no symptoms at all, and the condition is identified during a routine eye exam. The primary treatment — radiation therapy — is very effective, Orloff says. But in about half of patients, the cancer recurs, metastasizing or spreading to other parts of the body, most commonly in the liver. "The most common site that we see the cancer turn up — most often within the first kind of three to five years — is in the liver, and once the disease metastasizes to the liver, there is no cure," Orloff says. The foundation notes that the exact cause of the melanoma is unknown, though it is most commonly found in people with lighter skin and blue eyes, with a median age of 55. A 2001 study in France found that people who worked as cooks or welders were at higher risk of getting the disease. Orloff says what is remarkable about this group of cases is the relatively young ages of those diagnosed. "One of the more unique things again about this [group] is that this is really young women," she says. "In the Huntersville, N.C., group, two of the young girls who were ... first diagnosed both went to the same high school, diagnosed in their 20s, died in their 30s, died at a young age." A research committee in Huntersville identified some toxic releases in the water and air, but nothing directly connected to the cancer, according to Charlotte-based WCNC-TV. Allred, the Auburn student who was friends with Green, told CNN that she and at least two other patients lived in neighboring sorority houses and were all education majors. She also had to have her eye removed, but the cancer still spread to several other parts of her body, including her liver in 2008. She is still fighting the disease. "We need the funding for the research to figure out what possibly could be the environmental cause," she said. "There must be some link, and if we can find that link, we're that much closer to finding a cure and preventing people from continuing to get this."